Those that love music will enjoy the light and sound hat. The hat is considered “music apparel” that can be connected to an iPod device. The hat is also compatible with MP3 players, cell phones, and other musical playback devices. The light and sound hat has EQ panels that are located on each side. Each panel analyzes the patterns and pulse of the music and turns the hat into a musical light show. The Light and Sound Hat only comes in one size and should fit most heads. 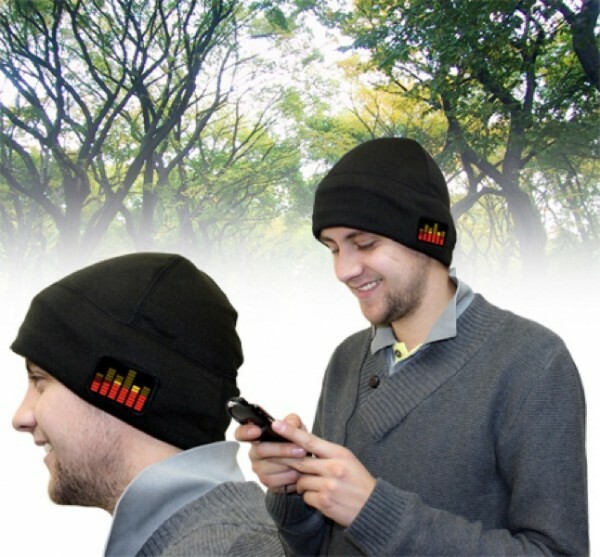 It’s perfect headgear for someone that wants to light up with their music as they stroll along. The hat is charged through a USB device and needs recharging every once in a while. The Sound and Light hat costs about $25 and at the moment is out of stock.